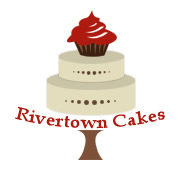 We are a fully licensed and insured custom order cake and cupcake company that specializes in high-quality, made from scratch, treats for every occasion or just for fun! Whether you're celebrating a birthday or planning a wedding, we will work with you to design a package perfectly suited for your big day. We offer everything from cakes to cupcakes and cupcake trees. Contact us and we'll create our very best for you! We did cup cakes and a small cutting cake! They were set up beautifully at our reception. They were so delicious our guests loved them. She left plastic containers for left overs and they stayed fresh for ever.